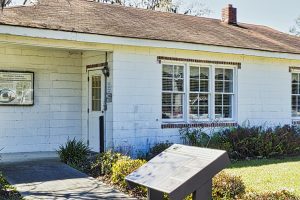 Just outside of Midway, Georgia is one of the least-visited of the 11 stops in Georgia on the U.S. Civil Rights Trail. Dorchester Academy played a major role in the National Civil Rights Movement. Dorchester Academy was founded in 1868. The school was established to educate freed African-Americans following the Civil War. In the 1960s, Dorchester was a center for the Southern Christian Leadership Conference. Septima Clark, called the “Mother of the Civil Rights Movement” by MLK, Dr. Martin Luther King, Jr., and Rosa Parks made Dorchester Academy the headquarters of the Citizen Education Program, a vehicle for training African-Americans in the effective exercise of their rights. That program established hundreds of education centers across the American south. This irreplaceable site needs visitors and supporters to reopen the abandoned boys’ dormitory as a museum. There is no fee to the current museum, housed in a small building close to the highway. There should be. Please support our American heritage at the Dorchester Academy. 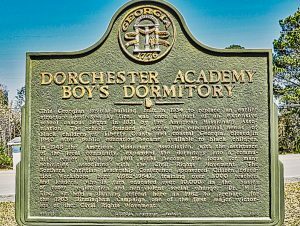 Dorchester Academy boys’ dormitory built in 1934 to replace one destroyed in fire. 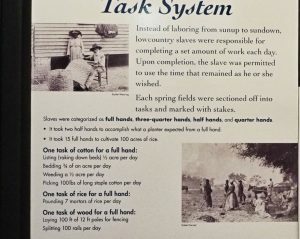 When slavery ended, white members abandoned the Old Midway Church Building. The Church’s governing body leased the building to the more than 500 newly freed slaves. 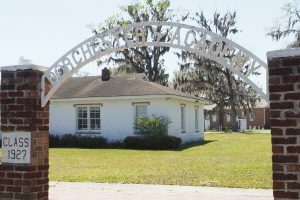 Formal education of black students started with the Freedmen’s Bureau in Liberty County, GA. 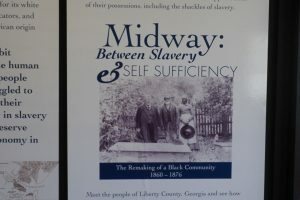 This lasted two or three years until two influential former slaveholders said they would rather see the Old Midway Church burned to the ground rather than to have the former slaves use it. 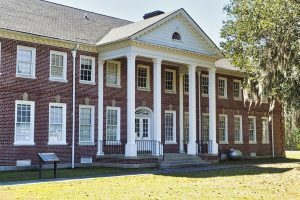 A primary school opened there in 1871, built, in part, with money connected to the successful legal defense fund for the Amistad, the slave ship where an uprising led to criminal charges. ** The US Court system overturned the convictions. Those funds established the American Missionary Association. Golding wrote to the American Missionary Association asking for a teacher, “preferably southern-born and colored, a young man of good moral character and a preacher, if possible.” **** Instead, Eliza Ann Ward, an abolitionist from Massachusetts, was sent to teach by the American Missionary Association. When Ms. Ward left, a freed slave, Floyd Snelson, who had been a minister and taught at the AMA’s school in Andersonville, GA arrived. He was hired to promote Congregationalism and teach at the school. 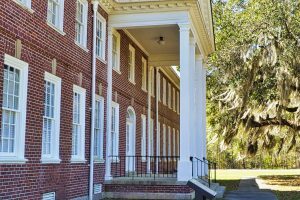 The school was so successful that, in 1879, it was enlarged to provide secondary education for freedmen in Liberty County, GA. It was renamed Dorchester Academy. Dorchester Academy was both a boarding school and a day school. The school was expanded to include vocational training in skilled trades that were in short supply during Reconstruction. Students were trained as blacksmiths, bricklayers, carpenters, plasterers, and wheelwrights. By 1897, the African American community was competing in the workforce’s trades. Mr. Golding died in Liberty County in 1889. A fire destroyed Academy buildings in the 1932. The current building, built in 1934, is the only structure remaining from what was once a multi-building campus. The school closed in 1940. The boys’ dormitory became a community center. From 1961 through 1964, Dorchester Academy served as the primary site of the Citizenship Education Program sponsored by the Southern Christian Leadership Conference (SCLC). The Director of the Program there was Andrew Young with Dorothy Cotton and Septima Clark as teachers. The Citizenship Training Program educated thousands of southern African Americans in their rights as American citizens, and provided them with skills needed to pass the voter registration tests in the South. After passage of the 14th and 15th Amendments following the Civil War, which recognized blacks as citizens and provided for voting rights, the southern states put barriers to voting in place. Barriers included the white primary, poll taxes, grandfather clauses, and literacy tests. Septima Clark & Rosa Parks at Highlander, New Market, Tennessee in the late 1950s. (Photo from signs at Dorchester Academy) Note: Rosa Parks was trained at Highlander prior to her historic role in the Montgomery Bus Boycott. Septima Clark, considered the “queen mother of the civil rights movement,” was responsible for developing the citizenship education model and oversaw the program from its beginnings in 1956 until 1970. She pioneered the link between education and political organizing. Dorchester served as a place to train advocates in the techniques of peaceful civil unrest and served as the main training site for the Citizenship Education Program. After being trained at Dorchester Academy, participants went back to their own communities, started discussing problems in their towns and organized their own citizenship classes. The program successfully established 897 citizenship schools throughout the South! Dorchester became a gathering place for such Civil Rights icons as Dr. Martin Luther King, Jr., Ralph Abernathy, Andrew Young, Rosa Parks, Septima Clark, Fred Shuttlesworth, Joseph Lowery, Wyatt T. Walker and others. During a 2-day retreat at Dorchester in January 1963, eleven of the top SCLC officials, including Dr. Wyatt T. Walker, planned the Birmingham movement, called “Project C.” The movement won the first major desegregation settlement in Birmingham, Alabama after Americans witnessed police dogs and fire hoses attacking peaceful demonstrators. Dr. King, worked on his “I Have A Dream” speech for the March on Washington at Dorchester Academy. His living quarters at the Academy while he worked on that speech have been kept intact. The March on Washington laid the groundwork for the Civil Rights Act of 1964. Currently, the Boys’ Dormitory building, where trainings took place and MLK stayed, is locked and is slowly being renovated as funding allows. Plans are to reopen the dormitory as a museum. A small building near the highway now serves as a museum. I was incredibly lucky to meet a volunteer, Ms. Brown-Jackson. She showed me some of the historic exhibits that detail the African American experience in Liberty County, GA.
She showed me one exhibit that lists the name of her great, great grandfather who was a local slave. The poster also names who owned him. Dorchester Academy is one of the most important historic sites we have visited. Funds and support are needed to preserve and develop this crucial Civil Rights iconic site. Please support Dorchester Academy as you can. **WSAV 3 article by Martin Staunton. October 2015.